"Colman of Kill-Ruaidh," and the "Gloss" adds : "Colman, bishop, son of Cathbadh, of Kill-Ruaidh, on the bank of Loch-Laig, in Ulidia" and the "Martyrology of Donegal" also writes, on the same day: "Colman, bishop of Kill-Ruaidh, in Dal-Araidhe, on the brink of Loch Laoigh, in Uladh." 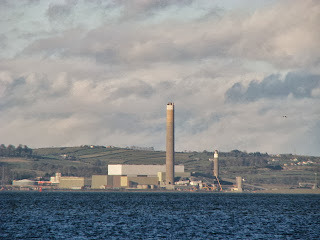 Lough-Laoigh was not Lough-Neagh, as Archdall supposes, but the modern Belfast Lough. Close upon its Antrim coast, in the townland Kilroot) is a churchyard of the same name, which still retains some traces of the ancient church. From the "Life of St. Mac Nisse" we learn that St. Colman was still a boy whilst this saint was bishop of Connor. He is there called "Colmanus Episcopus, qui Ecclesiam nomine Kellruaid fundavit" (Ada SS. Bolland, Sept. I, 665); and the learned Franciscan, Ward, adds the note: "S. Colmanus fuit Episcopus Kill-Ruadhensis, quae nunc obsoleta sedes est in Aradeorum regione (i.f., Dalaradia) ad oram stagni Juvenci vulgo Loch-Laodh in Ultonia ubi ejus festum tamquam patroni colitur xvi. Octobris." The "Annals of the Four Masters" and the "Annals of Ulster" record, at 1122, that Connor Mac Lochlin, with an army from Tyrone, laid waste "Kill-Ruaidh, in Ulster," and carried away great spoil. From the "Life of St. Ailbhe, of Emly" we glean a few interesting particulars regarding the first foundation of this ancient church. It is stated there that, "St. Ailbhe, like an industrious bee with its load of honey, returned from Rome, under the Divine guidance, to his native Ireland. And when he arrived at the sea he blessed it, and, with a breathless calm, he and his whole company crossed its waters in a frail ship uninjured, and landed on the north coast of Ireland. And there, at Ailbhe's order, one of his disciples called Colman, founded a church named Cill-ruaidh. And whereas the spot was unprovided with fresh water, St. Ailbhe blessed a stone, in the name of God omnipotent, and forthwith there gushed from it a stream of water. Then said St. Colman to Ailbhe, "The water is scanty;" to whom Ailbhe replied: "Though the water is scanty, it will never fail; but will be a running stream as long as the world lasts." Therefore the name of the stream is called Buanan Cylle Ruayd, i.e, the "Unfailing Stream of Kill-ruaidh." (Codex Kilken. Marsh's Libr. fol 136, b). The Irish Franciscan, Father MacCana, visited the spot about 1640, and closed his "Itinerary" with the following note regarding it: "Not far from Carrickfergus, on the east, is the church of Kill-ruaidh, which the English call Killread. In all times it was celebrated, and, even in my time, and that of my forefathers, it was always one of the residences of the bishops of Connor. The church was endowed in former ages with very ample possessions, and, even in my day, it was provided with no mean appurtenances. Of this place mention is made in the 'Life of St. Albeus." MONASTICON HIBERNICUM; OR, A SHORT ACCOUNT OF THE ANCIENT MONASTERIES OF IRELAND,THE IRISH ECCLESIASTICAL RECORD. Vol.5, (1869), 304. 15. A. IDIBUS OCTOBRIS. 15. I think that the Cluain-mor, of which he speaks, is Cluainmor-Maedhog, in Leinster. If the commentator is correct, this would place Saint Cuan at the monastery of Cluainmór-Maedhog, anglicized as Clonmore Mogue, County Carlow. It was associated with some well-known saints including Saint Fionnán Lobhair and Saint Onchu. The latter assembled a collection of saints' relics which remained at the site. The monastery thus attracted pilgrims but sadly also attracted the attention of the Vikings who attacked Clonmore on Christmas night in the year 836. The deaths of the abbots of Clonmore and records of attacks on the monastery ranging from the eighth to the eleventh centuries can be found in the Irish annals. The most recent authoritative work on the Irish saints, Pádraig Ó Riain's 2011 A Dictionary of Irish Saints, however, makes no mention of the Moling/Cluain Mór connection but instead lists Cuán of Ahascragh, County Galway at October 15. The saint is known from the genealogical sources, one of which assigns the nickname caoin, 'pleasant' to him. 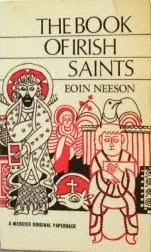 The death of our pleasant holy man is also recorded at the year 770 in one set of Irish annals. Finally, the Ordnance Survey letters of the 19th century record the date of a local commemoration of the saint as October 15 under the anglicized name of 'Cavan'. October 14 is the feastday of yet another of the many saints with the name of Colum (Colomb, Columba, Colman). This saint Colum is associated with the locality of Inis-caoin in Loch Melghe, today known as Inniskeen on Lough Melvin, County Fermanagh. The Irish calendars tell us that he was a priest. 14. Colum the presbyter of Loch Melge here. 14. G. PRIDIE IDUS OCTOBRIS. 14. COLUM, Priest, of Inis-caoin, in Loch Melghe. Colomb of pellucid Loch Meilge. a priest, of Inis Cain on Loch Meilge. There are three distinct Inis-caoins, viz. : first, Inishkeen, on Lough Erne; secondly, another on Lough Melvin— both of these are in the county of Fermanagh —and thirdly, Inis-caoin-Deagha, or Iniskeen, in the county of Louth. Our saint is clearly associated with the second of these places, but I am unsure when he flourished. October 13 is the feastday of an Irish saint who met a particularly sad fate in early eleventh-century Austria. Below is a paper from the Irish Ecclesiastical Record by Father J.F. Hogan on the life of Saint Colman (Coloman) in which he describes the circumstances which led this Irishman to be adopted as a patron of the Austrian people. I particularly enjoyed the description of the saint by the Viennese chronicler who said 'God sent us from Ireland, which is situated at the extreme end of the world a saint who was to be the intercessor and advocate of our whole nation, and who would teach us by his example to despise all earthly things, and seek only those which lead to heaven.' The idea of Ireland as being at the extreme end of the world is a concept to which Saint Patrick himself would have related. Finally, let's also spare a thought for Saint Gothalmus, the faithful servant of Saint Colman, who shared both his master's journey and his fate. May they continue to intercede for Austria and its people and for this island 'at the extreme end of the world'. The story of St. Colman is very different from that of most other Irish saints whose names are still venerated in distant countries. He was not an apostle in any ordinary sense of the word. He was not sent nor did he go to preach the Gospel, nor to convert the heathen. He may, indeed, have had in his mind some ultimate aim of the kind, but it had not yet matured nor assumed definite shape when he was overtaken by the fate of the martyr. Neither was it his immediate intention to settle in any of the monasteries founded by his countrymen in the centre of Europe, nor to devote himself to teaching, nor to study, nor to the pious exercises of religious life. It is, we believe, more than probable that he would in due course have become a monk, a teacher, and a preacher ; but his most pressing purpose at the time of his death was to wend his way to the Holy Land, to visit Nazareth, Bethlehem, Caphernaum, Jerusalem ; to follow the footsteps of the Master through Samaria and Galilee ; to venerate the earth on which He had walked in the flesh, where He was born, where He lived, and where He died ; to meditate on Jordan's banks and on the Mountain of Beatitudes; to assuage his spiritual thirst at the fountain of Siloe and at Cedron's holy brook; and, above all, to fill his soul with memories of the Garden of Olives, of the Way of the Cross, and of Mount Calvary. HUC OCULOS, HUC MENTEM MODICUM REFER. EX VEXILLO FIDELITATEM, EX LEONE VIGILANTIAM PENSA. VIGILAVI DONEC OBDORMIREM IN MORTE. St. Colman's Irish nationality is universally and gratefully recognised in Austria. The standard work on The Life and Miracles of the saint is that of Father Gotfreid Deppisch, which was published in Vienna, by the University Press, in 1743. This learned writer was a Benedictine monk of the Abbey of Moelck, on the Danube, and his work on St. Colman is dedicated to the illustrious Adrian, abbot of the monastery, and "Rector Magnificus" of the University of Vienna. He took great pains to find out all that was known about the honoured patron of his country. He came specially from Vienna to the Franciscan Convent of St. Antony of Padua, at Louvain, in order to consult the Annals of the Four Masters, the works of Ussher, Stanihurst, and Ware, but especially some manuscript materials that had been left by Father John Colgan and Father Hugh Ward concerning the origin and descent of St. Colman. He was hospitably received by Father Antony McCarthy, then guardian of the convent, who made all the researches the learned Benedictine required, and submitted them to him. The result could not be more satisfactory. The author takes much trouble to place St. Colman's Irish origin beyond all doubt; and he devotes several pages to refute the Scotch pretension that the saint was a son of King Malcolm III. and of St. Margaret of Scotland. The author further quotes several passages from chronicles and annals kept in different parts of Germany, many of which are to be found collected by Father Jerome Fez, the famous librarian of Moelck, and editor of two of the most valuable collections of historical documents ever published in Europe. It would, indeed, be a mere waste of time and space to dwell further on a matter which is universally admitted. St. Colman seems to have belonged to some distinguished family in Ireland, and was, possibly, as Ward suggested, son of Malachy, high king of Ireland, who lived towards the end of the tenth century. The only reference made to St. Colman in any of the older Irish books is that found in the Calendar of Donegal, in which we read: " Colman ailithir in Austria mac Maoilscheachluinn mor mac Dohmnuill." "Colman the pilgrim in Austria, son of Maolsechlaim Mor, son of Dohmnall." He was accompanied by a servant, Gothalmus, on his pilgrimage to Jerusalem ; and is usually spoken of as having made great worldly sacrifices in order to devote himself entirely to the service of God. The pilgrim's road to Jerusalem, in these days, lay through Austria, Hungary, and Turkey ; and as it happened the throne of the Holy Roman Empire was then occupied by the pious Henry II. and his saintly queen, Cunigunde. St. Stephen was king of Hungary, and the province of Austria was governed by the wise and prudent Margrave, Henry of Bahenberg. Great political troubles disturbed all these countries at the time we write about ; for the Austrians were beginning to assume that supremacy over their neighbours which they vindicated under several chiefs of the young Bahenberg dynasty, and have maintained to the present day under the time-honoured aegis of the Hapsburgs. When the evil work was done, its authors hurried off to some kindred task, and so little thought did they bestow on the poor victim they left hanging in the wood that their crime seems to have passed without any special notice ; for it was only a few years afterwards that some of the inhabitants of Stockerau were startled at the sight which they beheld at the spot where the saint had suffered. There was the gibbet still ; but fresh leaves had grown from the dry wood, and flowers that gave forth a fragrant perfume had blossomed from the beam. There was still the body of the saint hanging in the air : but it was whole and uncorrupted. The birds of the air had respected the temple of so pure a soul. The hair and beard had grown down over the pilgrim's frock, and a smile of heavenly peace and forgiveness seemed to light up the countenance of the victim. The people were struck with amazement when they witnessed the spectacle. They began to fear that the vengeance of God would overtake them and punish them for the crime that was perpetrated in their midst. The clergy were at once informed of the prodigy, and the remains of the saint were reverently taken away and placed in the church of Stockerau, where wonderful miracles testified to the sanctity of the murdered pilgrim. An account of all these strange occurrences soon reached the ears of Henry, Margrave of Austria, who was greatly struck by all he heard, and proceeded to make a careful investigation into the whole history. When he was satisfied of the undoubtedly genuine nature of all the events narrated, he called together the bishops and clergy of the country, and had the body of St. Colman transferred to the important town of Moelck, where he himself resided. There, in the Church of the Benedictine Abbey, it remains to this day, surrounded by the veneration and love of a whole country. A short time after the remains of the saint were transferred to Moelck, the King of Hungary took possession of them, and carried them away for awhile, but they were duly recovered by the people of Austria. Poppo, Bishop of Treves, arranged the first transfer; but Providence evidently destined the saint to be the patron and protector of Austria. A rich mausoleum in Corinthian style is erected over the shrine of the saint. "Justus ut palma florebit " is written near its summit, and "Sepulchrum Sancti Colomanni Martyris," indicates the contents of the shrine. Here pilgrimages still come from all parts of Austria, and the glories of the saint are heard in the strong German tongue. Churches were dedicated to him at Stockerau, Moelck, Laab, Aggstein, Vienna, Abenthull, Eysgarn, Aichabrunn, St. Veit, Steyer, Lebenan, Berlach, and many other places. A stone that was marked with the blood of the saint was brought by Rudolf IV. to Vienna, where it may still be seen in one of the walls of the Cathedral of St. Stephan. This same illustrious duke had an elaborate cross manufactured, in which he had large relics of St. Colman encased, and surrounded by the relics of other saints. This precious memorial of princely faith is still to be seen in the treasury of Moelck, with an inscription bearing testimony to the motives and object of the donor. It is curious, that although St. Colman could not be said to have been put to death in odium fidei, yet, on account of the violent character of his execution, he is generally regarded as a martyr. Not only do all the early writers of Austria itself, but also the learned Baronius, and several Popes speak of him as a martyr. His, however, is not the only case in which custom has sanctioned a title which technically belongs by right only to those who give their lives for Christ as witnesses to the truth. Several Popes conferred rich indulgences on all who would visit with the proper dispositions, the shrine of the great national patron. 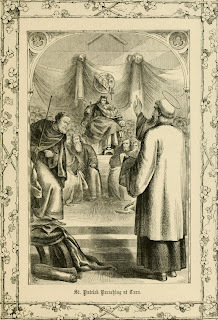 Those granted by Innocent IV., Honorius IV., Boniface VIII., Clement VI., Boniface IX., Benedict XIV., and by a great number of bishops, archbishops, and the Patriarch of Constantinople, are enumerated by Father Deppisch, in the admirable work on St. Colman, to which we have already made frequent allusion. It is but right to add that Gothalmus, the faithful companion and servant of Colman, who shared with his master the hardships of the journey and his cruel death, shares likewise in his glory; for he, too, is honoured as a saint, and his memory is faithfully cherished, and can never be dissociated from that of his master. Father Deppisch gives a full description of the solemnities that were celebrated in his time at Moelck and in other Austrian churches, in honour of St. Colman. We understand that they have lost nothing of their impressiveness and popularity in later times, and that they are always attended by some representative of the royal Hapsburgs, who regard St. Colman as one of the most faithful protectors of their own interests, and of those of their people. THE IRISH ECCLESIASTICAL RECORD Volume 15, AUGUST, 1894, 673-682. THE valley of the Barrow, which extends through a considerable portion of southern Leinster, has not received as much notice as it deserves in descriptions of the natural attractions and associations of the water-ways of Ireland. Nevertheless, events and scenes and memories connected with the best and greatest epochs of our country's past have left their traces along the course of this classic river, from its source in the Slievebloom Mountains till it enters the sea at Waterford Harbour. In ages long gone by, when south-eastern Ireland was almost entirely a forest-land and roads were few, this waterway was mainly the medium of communication between those tribal divisions now forming the counties of Kildare, Carlow, Wexford, and Waterford. Neither does the Barrow lack certain elements of the picturesque that make it fall but little short of the beautiful, for many stretches of its scenery, especially between Carlow and the Meeting of the three Sisters, where it enters the Atlantic, compare favourably with those of the better-known rivers of Ireland. Nor yet is the spell of history wanting, since Sage and Saint, Gael and Dane, Norman and Puritan, the conqueror and the vanquished, have lived and left many a mark on its border-lands, and supplied many a pictured page to the gladsome and, too often, sadsome annals of our country. In the early days of Christianity in Ireland, as with most of the rivers of the country, certain districts adjacent to the course of the Barrow were chosen by missionaries and scholar-monks for sites whereon to erect little churches or found monastic schools, that afterwards gave rise to the towns which now flourish along its banks. In the history of the poet-saint and scribe who founded the ancient monastery of Sletty we are interested in the following pages. St. Fiacc of Sletty was a contemporary of St. Patrick, and, moreover, played an important part in the opening scene of the great Apostle's mission at the court of Tara, in the memorable Eastertide of 433. Afterwards the threads of his life-story were for a time closely interwoven with events narrated in the accounts of the labours and miracles of our National Patron. 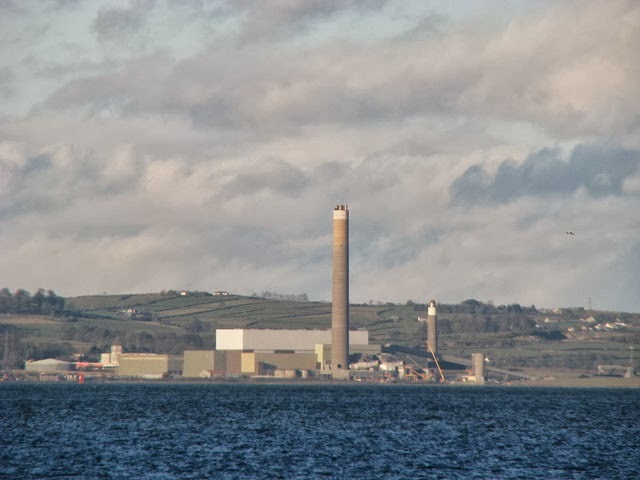 Most of us are acquainted with the oft-told incident that occurred on the first appearance of St. Patrick and his followers at the court of King Laoghaire. Previous to the arrival of the Saint a royal command was given that none of the assembly should rise to do honour to the mysterious band of strangers. However, a few of the courtiers present were so impressed by the venerable appearance of the leader of the procession that they could not restrain their feelings of emotion, and failed to obey the orders of the pagan monarch. The first who rose, as is recorded, was Dubhthach, 'chief bard and brehon of Erin,' whose example was followed by Fiacc his pupil, who is described in the records of the event as ' the young poet.' The latter was not only the favourite pupil of the royal bard, but was, moreover, his nephew and foster-son. Dubhthach has ever since been immortalized in song and story as the ' first convert of Erin.' It is more than probable that his nephew received the gift of Faith at the same time. Fiacc, it is told, was then sixteen years of age so that he must have been born about the year A.D. 415. The conversion of the 'chief bard of Erin ' was undoubtedly the first victory achieved by St. Patrick over paganism in Ireland. How important and far-reaching was the acceptance of Christianity by a personage of such exalted rank, and by one whose profession was highly esteemed in those days, we shall explain later on. St. Fiacc was of noble lineage, being descended (in the sixth or seventh generation) from the celebrated Cathair Mor, who was King of Leinster and Ard-righ at the end of the second century. The chiefs of the clan MacMorrogh (now called Kavanagh) trace their descent from the same illustrious ancestor. We may note, in passing, that St. Moling, one of the immediate successors of St. Aidan, Patron of the See of Ferns, belonged to the same race. His monastery beside the Barrow continued to be the burial-place of the Kavanaghs down to less than a century ago. This Saint was honoured as the protector and patron of the chieftainage through the history of a thousand years. But to return. The father of St. Fiacc is styled Mac Dara, who was Prince of Hy-Barrech, whilst his mother was sister of Dubhthach, royal bard of Tara. The bards in both ancient and Christian Ireland were held in a degree of respect perhaps greater than that bestowed on any other class of society. Their services in the way of literature and poetry were almost the sole means by which the chronicles and history of the country were preserved, and genealogies recorded. The deeds of valour attributed to chieftains and renowned warriors were enshrined by them in metrical compositions and thus easily committed to memory by the people. Their lesser poems and songs were wedded to the melodies of their harps and were the origin of ' the wild native strains ' that have floated down through 'the waves of Time,' and are echoed in the national music of Ireland to-day. Like the orders of the Druids and Brehons, the ancient minstrels were prepared for their noble profession by a long course of study, and thus they gained the esteem they attained in popular estimation. From all these circumstances we can easily understand how the acceptance of Christianity by Dubhthach, as royal minstrel of Tara, came to be an event of almost more importance than would have been the conversion of the High- King himself. His example was followed by numbers of the courtiers, who soon afterwards received baptism at the hands of St. Patrick. Fiacc, the subject of our memoir, apparently, for a great part of his life was never separated from his venerated kinsman. When the latter retired from the court of Tara and went to reside in his native place (the present North Wexford) his nephew accompanied him. In this locality, we may remark, a grant of land was bestowed upon him by the King of Hy-Kinsellagh, which lay on the coast not far from the present town of Gorey now called Cahore Point. Here Dubhthach spent his declining years. St. Patrick, in his progress through Leinster, on his way to Ossory, converted and baptized King Crimthan, at Rathvilly, Co. Carlow, about the year 450. On this occasion he altered his direct route by going a little out of the beaten track, in order to visit his 'first convert' at his seaside home in North Hy-Kinsellagh. During his brief stay in this territory he founded the little church of Donoughmore, close by Dubhthach's residence, the remains of which may still be traced on the seashore, now half-covered by sand. This is said to be the only personal foundation of St. Patrick within the confines of the present County Wexford. It is also recorded that during his visit he asked Dubhthach to recommend some worthy man, of good family and of virtuous life, whom he might train for the priesthood and eventually, if suitable, consecrate a bishop and place him 'over the Leinster-men.' His learned and gifted nephew, Fiacc, at once occurred, to the venerable bard's mind, as one possessing the necessary qualifications in regard to family and education if he would consent to enter the ecclesiastical state. Fiacc shortly afterwards came upon the scene and, being questioned on the subject under consideration, he at first hesitated, but when, as an alternative, Dubhthach, aged as he was, offered himself for the position St. Patrick was so anxious to fill, the young man was so impressed by the act of self-sacrifice on the part of his kinsman that he consented to take the latter's place. There and then the Apostle imposed the sacred tonsure on Fiacc removing from his brow the wealth of flowing hair which, in those times, was the typical mark of noble birth among the Irish. On the departure of St. Patrick from Donoughmore, Fiacc accompanied him, and at once entered on his ecclesiastical studies. His highly-trained mind and the gift of perfect memory he had acquired as a poet by profession made easy to him many of those difficulties experienced by other students. With such aptitude did he master various subjects that it is said within fifteen days he learned the formula and ceremonies for the celebration of Holy Mass and dispensing of the Sacraments. After his ordination, and when he entered upon his missionary career, the first church associated with his name was erected by him between Clonmore and Aghold, on the borders of Carlow and Wicklow. It was here St. Patrick imposed the 'grade of a bishop' upon our Saint, and as recorded, left seven monks from his own followers who formed the first community of St. Fiacc. Here, for some years, Fiacc led a most holy life, till he was admonished by an angel that ' the place of his resurrection was not to be there', but at ' the west side of the Barrow,' at a spot which would be indicated to him by certain signs. He was told to proceed along the river's course, and at a place where he would meet a boar there to build his 'refectory' (i.e., guest house), and at a little distance off he would meet a hind, and there would be the site of his church. The holy man felt greatly troubled and sad at heart at the thoughts of leaving the scenes of his first mission. He felt unwilling, even at the call of God, to part from his community and beloved flock, and so far determined not to go without the sanction of St. Patrick. Accordingly he sent a messenger to his apostolic master to seek his advice. The Saint, who at once realized the natural feelings of Fiacc, sent back word that he would come to visit his friend and assuage his sorrow. On St. Patrick's arrival, speaking words of consolation, he volunteered to accompany Fiacc on his journey to the district where he was admonished by the Divine Will to spend the future of his life. Bidding farewell to his religious brethren and faithful people, Fiacc then set out for his destination accompanied by St. Patrick. We must remember that, in the organization of the missions of the early saints, the founding of a church generally meant also the founding of a Christian settlement or monastery. From this we may assume that Fiacc was joined by some members of his former community, whose number was later on increased by the accession of converts and pious souls who, in those days of first fervour, were desirous of embracing the monastic life. Ireland was then, and continued to be for centuries afterwards, in a tribal state. Each chieftain was independent of his neighbour, and although a central authority was supposed to exist in the personality of the Ard-righ or High-King, the title was little more than nominal. He was by no means ' monarch of all he surveyed.' In St. Patrick's missionary system he adapted the organization of his Church to the political condition of the country. The jurisdiction of bishops was tribal rather than territorial. Dioceses, in the modern sense, did not exist, nor were they defined for six or seven centuries afterwards. 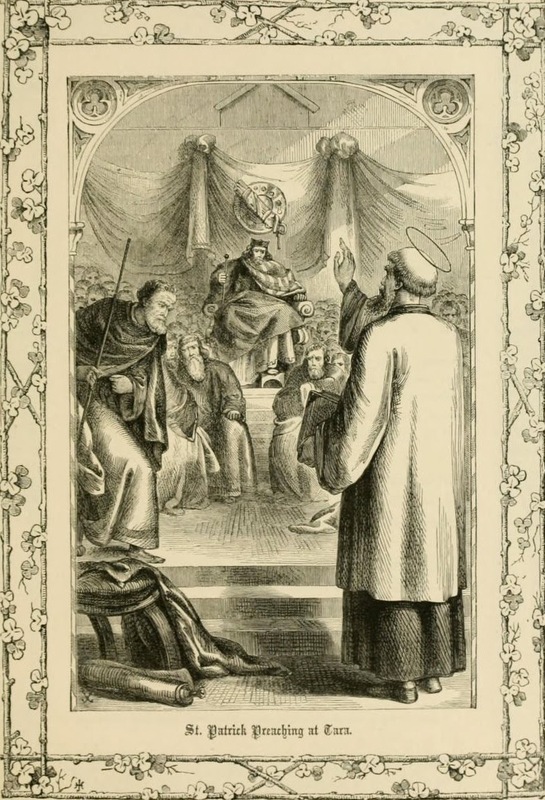 Every clan had its own episcopal ruler who was, in most cases, chosen from the family of the local chieftain, and as we read in the lives of many Irish saints, the bishop, on his death-bed, very often handed the insignia of his sacred office to one of his disciples, which was considered tantamount to nominating his successor. Thus it most frequently happened that the episcopal office was retained for successive generations by some relative of the chieftain of the respective clans. Descendants of the race of Cathair Mor (to which St. Fiacc belonged) had, for many centuries, been rulers of the the petty kingdom of Hy-Kinsellagh. The office was not hereditary, in the present sense, since, according to the law of Tanistry, the people could chose any member or relative of the ruling family, on the personal merits of the candidate whether as a warrior, statesman, or as one gifted with superior wisdom, or other attributes calculated to command the respect and obedience of his subjects. Members of the same family that of Mac Morrogh held the sovereignty of Hy-Kinsellagh down to the Anglo-Norman Invasion, the ill-starred Dermod Mac Morrogh being the last independent representative of the kingship This territory included in its area the whole of the present County Wexford, a considerable part of Wicklow, the southern extremities of Carlow, and the sub-principalities of Forth and Idrone. The Christian settlements, or monasteries, of early times were formed, to a great extent, on the model of the secular clans by which they were surrounded. Most, if not all, the inmates of the monasteries were connected by clanship, and on this account, whenever tribal wars arose (which were frequent), they could count on the protection of the local chieftain. This digression in the current of our narrative is made in order to explain what probably was one of the reasons that prompted St. Patrick to appoint Fiacc 'Ard-espog,' or High Bishop 'over the Leinster-men.' Some writers state that St. Fiacc was invested with spiritual jurisdiction similar to that exercised by the Metropolitan Bishops of our day. But we must remember that archbishops, dioceses, parishes, or even counties were unknown for centuries after the period of which we write. It was, in fact, at the Synod of Rathbreasil (near Mountrath), in A.D. 1118, that episcopal sees were first mapped out or attempted to be defined. The boundaries of parishes were not arranged for long afterwards and many of them only came into existence after the Protestant Reformation. The right of patronage or appointment of ecclesiastics to what we call parish churches was usually vested in the representatives of a founder's family or in the person of the local chief or magnate, subject to episcopal approval. St. Fiacc was the first canonically appointed Bishop of the territory of Hy-Kinsellagh. Its rulers were usually styled Kings of Leinster, perhaps from the fact that this petty kingdom was the largest of the tribal divisions of the province, and its chieftains and people the most powerful of the Leinster septs. So, likewise, we may assume, its Bishops were given a title of pre-eminence (ard-espog) in this important territory. St. Fiacc administered the sacred functions of the office imposed upon him by the National Apostle for a long term of years, and is said to have seen 'three twenties ' of his community at Sletty laid to rest before he died. Some seven miles from his monastery there is an isolated cave, in the mountain-side, called Drum Coblai, which faint tradition points out as being the retreat of a saint. This was the place of solitude and prayer whither the holy abbot was wont to retire during Lent and other penitential seasons of recollection. At Easter time, we are told, he used to return to Sletty in order to celebrate with his monks the glorious festival of the Resurrection of Our Lord. In his old age our Saint suffered from an ailment in his limbs, which sorely impeded his extensive journeys of episcopal administration. Hearing of this, it is related, St. Patrick sent him a chariot and horses from distant Armagh. In his humility Fiacc was unwilling to avail of the thoughtful gift, until he was admonished by a heavenly messenger to do so. Then the aged Bishop reluctantly consented. As the weight of years increased and the infirmities of old age became more trying, Fiacc like St. Paul longed 'to be dissolved and be with Christ.' At length the sighed-for summons came. He entered into the reward of the Just, October 12, about the year 510 his age having then exceeded ninety years. He was laid to rest within the church of Sletty, whose foundations had been traced for him, in times long gone, by his life-long friend and beloved master, St. Patrick. There, beside the murmuring waters of Barrow, the Bardic- Saint and first Bishop of Hy-Kinsellagh awaits the 'Judgment's trumpet call.' His dearest belongings in life were a bell, a reliquary, a crozier, and a book-satchel, given him, at his consecration, by the Apostle of Ireland. These were, as customary in the early times, bequeathed to his successor. As the Feast of St. Kieran of Ossory, the Primogenitus Sanctorum Hiberniae, March the 5th, brings us back to the Praeparatio Evangelica, and the advent of the heavenly spring that gladdened the hearts and homes of Erin, so also, the festival of St. Canice, on the 11th of October, cannot fail to remind us of the first-fruits of that rich golden harvest which was gardened by the celestial husbandman from the virgin soil of the Island of Saints. 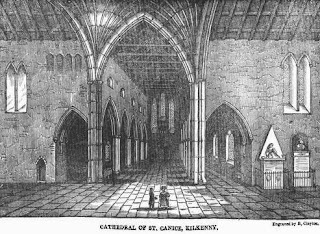 The commencement of the sixth century, 515 or 516, witnessed the birth of St. Canice or Kenny, at Glengiven, "the Valley of the Roe," in the barony of Keenagh, County Londonderry. His parents were so poor at the time of his birth, that a special interposition of Providence was required in order to afford the new born babe the very means of subsistence. But although destitute of worldly goods, they were rich in virtue, and of superior intelligence. His father, Lughadh Lethdearg, was a member of the bardic class, and held the post of tutor to Gael Bregach, afterwards Prince of Hy-Many. Lughadh Leithdearg appears also to have been a poet of some distinction, and it may have been from him that our saint inherited that rare gift of eloquence, which caused him to be compared by Irish writers to St. Philip, who is supposed to have been the most eloquent of the Apostles. In a manuscript catalogue of the Irish saints, which dates from the beginning of the fifteenth century, and is preserved in the College of Salamanca, Meaula or Mealla is mentioned as the mother of St. Canice, and that her principal church is in Kilkenny. 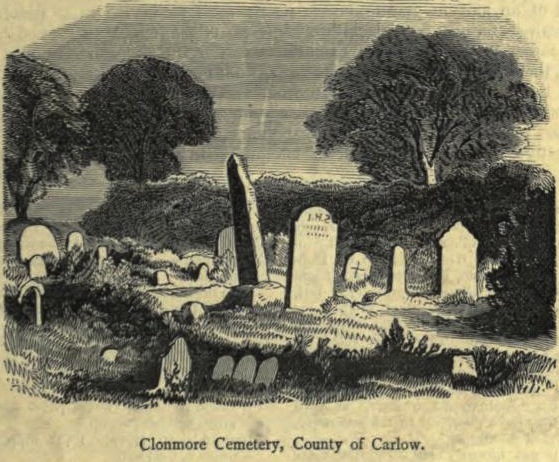 Hanmer in his Chronicle relates that in the thirteenth century, a church was erected in Kilkenny under her invocation, over against the east side of the Nore (where St. Maul's cemetery now lies). The Church of St. Maul, with four marks of silver yearly, was conferred on the Vicars Choral of St. Canice, by Bishop Barry, in 1428. At an early age, Canice resolving to devote himself to the study of sacred truths, proceeded to the monastery of Lancarvan in Wales. This school of piety was at that time ruled by the Abbot Cadoc, surnamed the Wise a saint who had himself been trained in the paths of piety by a saint of Irish birth, St. Tathai. At Lancarvan Canice soon distinguished himself by the practice of every virtue, especially by the strict observance of holy obedience. One day whilst engaged in what was to him the delightful occupation of transcribing the Holy Scriptures, the bell of the monastery called him to other duties, and we are told that the obedient novice left the letter, at which he was engaged, half finished, and thenceforward his abbot loved Canice exceedingly. After having received the Holy Order of the priesthood, about the year 546, Canice asked and obtained permission to proceed to Rome in order to receive the blessing of Christ's Vicar on his future missionary labours. At that time Italy was overrun with barbarians, the Goths and their leader, Atilla, and so, the pilgrimage of St. Canice must have been a work of great difficulty. But the special Providence of God preserved him in all the vicissitudes of that perilous journey, the very men who sought his life were converted, and became his devoted disciples, so that he was enabled through their instrumentality to found in the distracted land a monastery, where his own name and those of his compatriots, known as " the saintly pilgrims from Ireland," were for ages held in the greatest veneration. On his return to Ireland our saint, wishing to perfect himself still more in the knowledge and practice of virtue, spent some time in the great schools of Clonard, under St. Finnian, and Glasnevin, then governed by St. Mobius. He had for his companions, Columkille, Kieran of Clonmacnoise, Comgall, Brendan, and others of the great saints, who were styled the twelve Apostles of Erin. St. Mobius having built a beautiful oratory of oak, of unusually large proportions, a question arose among his disciples as to their wishes regarding it. St. Kieran expressed his wish that it were filled with holy men who, by day and night would chant the praises of God. St. Comgall, wholly intent on penitential exercises, would wish it to be filled with all the pains and burdens which are the lot of men during their pilgrimage on earth, and that all might come to him as his inheritance. St. Columba would like to see it well filled with gold and silver, to be expended in the erection of churches and monasteries, and in the service of the poor. St. Canice, being asked to tell his thoughts, declared that it would be his desire to see the oratory filled with religious books and sacred texts by which men would be imbued with a knowledge of divine truths, and led to the fervent service of their Creator. St. Mobius, hearing their pious wishes, prayed that each of these holy youths would receive from heaven the special gift which he desired. The time came when Canice was called upon to leave his peaceful solitude and the sweet society of his brethren ; when the holy 'priest and perfect religious was to become himself a founder of churches, and a vessel of election to carry the light of faith to a people sitting in darkness and in the shadow of death. Following the example of his friend St. Columba, Caledonia was selected by him as the country then affording the best prospect of a rich virgin harvest of souls. And spread religion over a darkened world." The amount of co-operation given by St. Canice in the glorious work of evangelizing Scotland may be judged from the number of places that retained his name, and cherished his memory in that country. Amongst these, the most remarkable was the monastery of Rig-Monadh, or the royal mound where the Cathedral of St. Andrew was afterwards erected. The Felire of St. Oengus contains in its notes of St. Canice's Feast, at 11th October, a reference to this foundation : "Achadhbo is his principal church, and he has a Eecles, i.e., a monastery at Cill-Eigmonaig in Alba." Scottish writers record that St. Canice was regarded, after St. Brigid and Columba, as " the favourite Irish saint in Scotland." He was honoured even in Iona, where a burial-ground still retains the name Kill-Chainnech. And fain would he have remained till death a voluntary exile from his native land, in order to enjoy the heavenly conversation of St. Columba, and of his holy companions, and to help them to secure that golden harvest ; but the saints of Ireland, not willing to be deprived of his example and counsels, sent messengers after him, praying him to return to his own country. They found him "living as a hermit in Britain, and Canice was then brought from his hermitage against his will." This hermitage, according to Cardinal Moran, is identified with the remains of an ancient church called Laggan-Kenny ; i.e., St. Kenny's church at Laggan, towards the east end of Loch Laggan, at the foot of a mountain, in the Grampian range. The homeward voyage of our saint was signalized by his having miraculously saved from a watery grave the illustrious St. Fintan, of Clonenagh, styled by the old writers the Father of Irish Monks and the Benedict of Ireland. 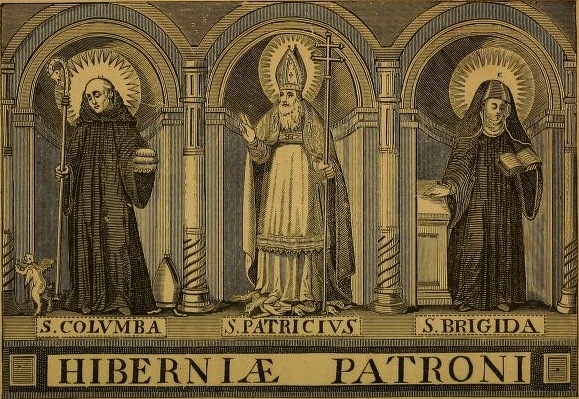 The establishment of the first Irish monastery following the rule of St. Columba and St. Canice, that of Kilkenny West, in the County of Westmeath, was inaugurated by a miracle, related by all our saint's biographers. A turbulent chieftain of Meath, Colman Beg MacDiarmaid had carried off by violence a nun, sister of St. Aedh, Bishop of Killair, in Meath, and detained her captive in an Island in the centre of an lake. The Bishop took up his position near that part of the lake in which his sister was held prisoner, and there fasted and prayed that the heart of the King might be moved. Nothing, however, appeared to produce any effect on the heart of that wicked king until St. Canice came to the assistance of his episcopal friend. The King, hearing of the saint's approach, ordered the bolts to be drawn up, and all avenues to his fortress to be closed. Vain precautions! St. Canice passed over the lake, and entered the castle or fort ; and, then, Colman Beg, struck with terror at a chariot of fire, which he saw moving towards the island, confessed his crime, delivered up the nun to her brother, and made a grant of that island to our saint. Some years after St. Canice travelling in Breffny rested at a wayside cross, at Bealach Daithe, in the parish of Lurgan, county Cavan, and performed there the devotion of None. On inquiring whose cross this was, he was informed that it was there Colman Beg MacDiarmaid had fallen in battle. "I remember," said the saint, " that I promised that prince a prayer after his death ;" and, turning to the cross, he prayed with fervour and with tears, until it was revealed to him that the soul of Colman was freed from suffering. In the 43rd and 44th chapters of The Life of St. Canice, there is an account of some incidents which occured during a civil war in Ossory, in which Feredach, the son or grandson of a Munster usurper in that territory, was slain, circiter 582, by " the sons of Connla," i. e., the true Ossorians. Colman, the son of this Feradach, notwithstanding this opposition, succeeded his father and ruled this territory till his death, in 601. He was the friend and patron of St. Canice, who settled permanently in Ossory during his reign, after the death probably of his former patron, Colman Beg, King of Meath, as the late Father Shearman remarks [Loca Patriciana, No. XL ]. The reign of Colman MacFeradach was marked by the frequent rebellions of the discontented Ossorians. In one of these tumults, Colman was closely besieged in his fortress which was probably at Kells, which they gave to the flames. St. Canice, in his church at Aghaboe, hearing of this outrage, set out to the relief of his friend ; and passing through Magh Roghni, the great centre plain of Kilkenny, per medium regni, he comes to " Dominick Moir Roighni," St. Patrick's parish, on the southern border of the town, to which subsequently his own name was annexed. The portly abbot of Domnach Moir, Pinguis princeps, whose sympathies were with the Ossorians, his own countrymen, came out from his church, and thus addressed the saint : " I know that you are hastening to set free your friend, but unavailingly ; as you shall only find his charred and mutilated corpse." St. Canice replies : " The Son of the Virgin knows that what you imagine is not true, for before you return to your church, you shall find yourself a corpse." After this interview the portly abbot returned in his chariot to his city, through another gate near at hand, the name of which was Darnleth. While the abbot was passing through the portal, the swinging gate or door fell on his head, and killed him on the spot. In this legend we discover that Domnach Moir, St. Patrick's, Kilkenny, was at this period a place of some importance, containing an ecclesiastical establishment, surrounded with walls or " septa," with gates opening on the various roads diverging from the " civitas " or cashel, which was the nucleus of the town or villa which grew up about the Patrician church, the name of which was destined ere long to be merged, and all but lost, in a new designation. St. Canice rescued his friend Colman from the hand of his enemies; dashed through the serried lines of the assailants, under a shower of javelins and arrows, into the burning pile, rescued the King, and when he had brought him to a place of safety, he says : " Remain here awhile, for although you are alone to-day, you shall not be so to-morrow, for three men shall join you in this place, and afterwards three hundred shall come to you, and on the third day you shall be King over the whole of Ossory." After this occurred we may suppose what is described by anticipation in cap. 43, that Colman gave many towns (villas) in which St. Canice erected monasteries and churches. The chief ones amongst these were Cill Cainnech, now Kilkenny, and Aghaboe, or Agerboum in the Queen's County, the lands of which are well known as amongst the richest pastures in Ireland. Aghaboe was during his lifetime the sanctuary most closely connected with the name of St. Canice. It was his treasure-house of graces, the favourite school in which through winter frost, through rain and storm, through summer sunshine, generation after generation of his spiritual children lived and prayed, and at last laid them down and died. Bright with dew, and enamelled with the sweetest flowers, the sunny dells, the stately trees, and rich pastures of Aghaboe formed a striking contrast to the desolate grandeur and more ascetic surroundings of Iona and its sister isles. lona and Aghaboe, however, although so distant and so dissimilar, were bound together by the golden link of a very intimate communion of saints. It is related that St. Columba and his monks were on one occasion overtaken by a violent tempest ; every wave threatened instant death. The monks cried out to their abbot to pray to God for protection, but he replied that the holy abbot Canice, alone could save them in this danger. At the very moment St. Canice, in his monastery of Aghaboe, heard by revelation the voice of Columba speaking to his heart. Starting up from the repast of which he was partaking with his religious brethren at the hour of none, he rushed to the church, exclaiming : " This is no time for food, when Columba's ship is struggling with the waves." Having entered the oratory, he prayed for some time in silence with tears. The Lord heard his prayer, the tempest instantly ceased, and the sea became quite calm. St Columba, seeing in spirit Canice hastening to the oratory, cried out, " Canice, I know that God hath heard thy prayer ; it is well for us that thou hast run with one sandal to the altar" for in his haste Canice had dropped one of his sandals. The prayers of both saints co-operated in this miracle, observes St. Adamnan; an example of the blessings which God grants through the communion of saints. So Columba said to his brethren, " God has bestowed on Canice the gift of calming every tempest." And St. Canice was invoked in the early Irish Church as the special patron of the faithful against the storms of the sea. An incident in the life of St. Canice proves the survival of Druidism in parts of Ireland up to his time. Another incident gives an account of a barbarous custom that appears to have been then very prevalent. But only the wild deer." As was the case with other Irish saints, there was a legend that the deer became so tame in the saint's presence that he could, whilst engaged in study, rest his book or manuscript on their antlers. The favourite retreat of St. Canice was a solitary spot in a marshy bog called Lough-cree, situated between Roscrea and Borris-in-Ossory. There the saint erected a cell, and thither he loved to retire, in order to enjoy the sweets of silent meditation in the study of Sacred Scriptures. It became, in later times, a favourite resort for pilgrims, and it was popularly known as Monahincha, or "Insula Viventium." On this island Canice more than once passed the whole time of Lent, keeping a rigorous fast for forty days. There also he completed a beautiful copy of the Latin Gospels, adding a cantena or commentary which was highly prized throughout the Irish Church. This precious manuscript, called Class-Canneche, was still extant in the beginning of the seventeenth century, and is, according to Cardinal Moran, one of those ancient copies of the Gospels now preserved in, the library of Trinity College, Dublin. At Aghaboe it was that our venerable abbot spent the evening of his life in prayer and penance, in the government of his monastery, the study of the Sacred Scriptures, and in spiritual conferences with the holy personages by whom he was surrounded. St. Brendan of Birr, St. Mochaomog of Liath (now Leemokeevogue), near Thurles, the holy community of Saigher, and St. Fintan of Clonenagh (Mountrath), resided within easy distance of the last earthly domicile of St. Canice at Aghaboe. The society of such holy men must have been to St. Canice a source of the sweetest consolation, a foretaste of the delights of Paradise. And when, after the labours of spring, the heats of summer, and the toil of that luxuriant harvest, our saint was summoned in this season of autumn, at the advanced age of eighty-four, to meet the Master of the vineyard, it was from the hand of his loved friend and neighbour, the fervent Fintan of the " Ivy Meadow," that he received, for the last time, that Bread of Life which was to be to him the seed of a glorious immortality. And so, after imparting his blessing to the assembled brethren, and exhorting them to perseverance in prayer and penance, he passed to his heavenly reward at Aghaboe, on the 11th October, about the year 599. The relics of St. Canice, after having escaped the ravages of the Northmen, were enshrined in the church of the monastry of Aghaboe, in 1052. The shrine and relics of our saint were, however, ruthlessly burned, in 1346, by Diarmid MacGillapatrick, Prince of Ossory. Clyn's graphic notice of this outrage is as follows : "Item, on Friday, the 13th of May, Diarmid MacGillapatrick, the one-eyed, ever noted for treachery and treasons, making light of perjury, and aided by O'Carroll, burned the town of Aghaboe ; and venting his parricidal rage against the cemetery, the church and shrine of that most holy man, St. Canice, the abbot, consumed them, together with the bones and relics, by a most cruel fire." In the National Museum, Kildare-street, is preserved a small ancient bronze, representing in relief the figure of an ecclesiastic, bearing in his left hand a book, and in the right a short episcopal staff or cambutta. St. Canice was of small stature, and was dubbed by his enemies, Parvulus baculatus; that is, " the little man with the staff." " This antique bronze was found in the church-yard of Aghaboe ; it would seem, from the rivet -holes remaining, to have been a portion of the ornamental work of an ancient shrine. Perhaps it is the sole remaining vestige which has survived 'the most cruel fire ' of the one-eyed MacGillapatrick." The bronze representation or figure is considered by Mr.Westwood and other eminent palaeographists to form one of the three earliest known of the short pastoral staff used by Irish prelates. The grandest surviving monument of our saint is St. Canice's Cathedral, Kilkenny, which has witnessed so many vicissitudes in Irish history, and whose own history, architecture and antiquities have been so splendidly illustrated by two liberal and learned Protestants, Messrs. Prim and Graves. The Catholic deanery and parochial church of St. Canice, Kilkenny, and the beautiful church of Aghadoe, are also very creditable and well-kept temples, in which the old devotion of Ossory to her patron and protector is preserved and fostered, and his festival kept with great solemnity every year. The Archives of the Corporation of Kilkenny preserve among their most valuable deeds and charters the original grant made by Bishop Geoffrey, of Ossory, about the year 1244, to the Friars Preachers of the Black Abbey, Kilkenny, of a supply of water from St. Canice's well for the use of the religious of the monastery. To the stipulation is added, that the circumference of the water-pipe at the well should not be larger than that of the bishop's ring; and at the end, where it enters the monastery, it should be only of such a size that it could be stopped by a man's little finger. A facsimile of this interesting concession has been printed by Gilbert in The Irish National MSS. series, vol. ii., n. lxxii. It still retains a considerable portion of the bishop's seal. A ring of copper is attached to the seal to mark the size of the bishop's ring. The Dominican Bishop Hugh who governed the diocese from 1258 to 1260, granted to his religious brethren of the Black Abbey, the custody of St. Canice's Holy Well, which was much frequented by pilgrims and by the citizens. Lynch writes that many persons in his day continued to visit it through piety or in search of health ; and he also attests that many miraculous cures were every day effected by using this water and invoking the aid of St. Canice. There is also a beautiful tradition to the effect that any native of the "faire citie" by the Nore who drinks of the waters before leaving home for the foreign land will surely live to return to his native shore. If his faith be all unshrinking, from St. Kenny's Holy Well." The holy friendship between SS. Canice and Columba is proved and perpetuated in Ossory by the fact of having six old parishes placed under the patronage of St. Columbkille. Scanlan, King of Ossory, in gratitude to St. Columba, for having liberated him from the cruel treatment and imprisonment to which, as a hostage, he was subjected at the hands of Aedh MacAinmire, King of Ireland, fixed an impost of one sgrebal, that is, of three pence, on each hearth of his principality, from Bladma to the sea, which was to be paid every year to the community of St. Columba, at Durrow, in Osraidhe. From Bladma's summit to the sea." For Osraidhe's King obeys my word." THE IRISH ECCLESIASTICAL RECORD Volume 15, AUGUST, 1894, 925-938. At October 10 the earliest of the Irish calendars, the late eighth-/early ninth-century Martyrology of Tallaght, records the name Sillani abbatis. The name of Sillan the abbot is also recorded in the twelfth-century Martyrology of Gorman as well as in the seventeenth-century Martyrology of Donegal. No further details of the saint, his locality or his monastery have survived. Curiously, Eoin Neeson in his compendium of Irish saints makes no mention of the abbot on this day but instead records 'Siollan, a holy woman of Inchigeela, County Cork'. I can't find any other evidence for this holy woman, all of the other saints with the name Siollan or Sillan I've come across are male, the most famous perhaps being Saint Sillan of Bangor, commemorated on February 28.